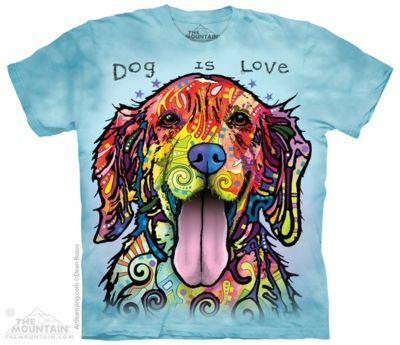 You'd be barking mad not to love this children's doggy design from The Mountain® featuring the art of Dean Russo. The colourful pop art portrait of a Golden Retriever says "Dog Is Love". 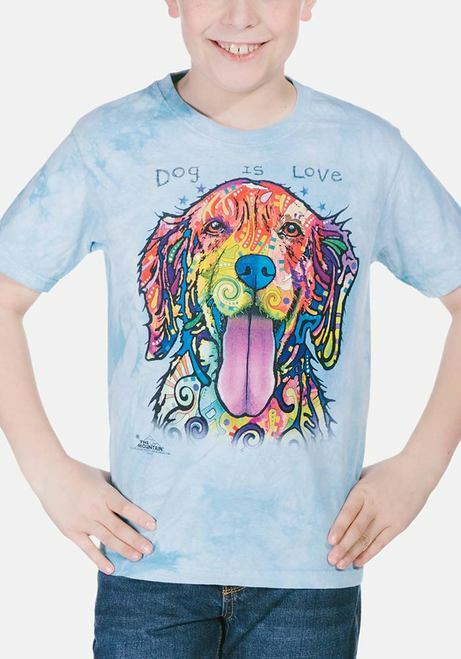 This kids Dog Is Love t-shirt is unisex so perfect for girls and boys.